Treatment of Ear Problems and Infections (Outer Ear Infections, Swimmers Ear, Middle Ear Infections, Fluid in the middle ear). Non Surgical and Surgical Treatment of Tonsils and Adenoids (Treatment of Chronic Nose or Throat Infections, Breathing difficulties, Obstructive Sleep Apnea, Flexible Endoscopy, Coblation Tonsillectomy, Harmonic Scalpel Tonsillectomy). Diagnosis and Treatment of Noisy Breathing (Nasal Polyps and Swelling, Narrowing of the back of the Nostrils – Choanal Atresia, Large Adenoids, Large Tonsils, Immaturity of the Voice Box or Trachea, Vocal cords problems). Diagnosis and Treatment of Nasal Allergies. Counseling and Treatment of Nose Bleeds. Treatment of Sinus Problems in Children and Adolescents. 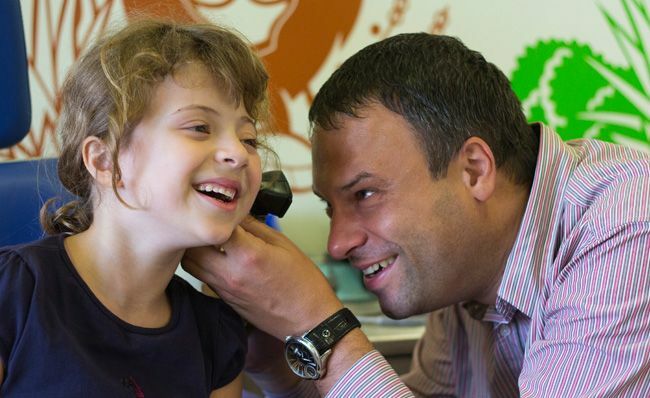 Diagnosis and Treatment of Hearing Loss (Hearing tests, Tympanometry and Grommet placement). Diagnosis and Treatment of Neck Masses (Swollen Glands and Lymph Nodes, Congenital Cysts, Thyroid problems, Neck Ultrasonography). Aesthetic Shaping of Prominent Ears (Injuries to the Nose, Soft Tissue Contusions and Lacerations, Wound Management, Injuries to the Ear and Eardrum). 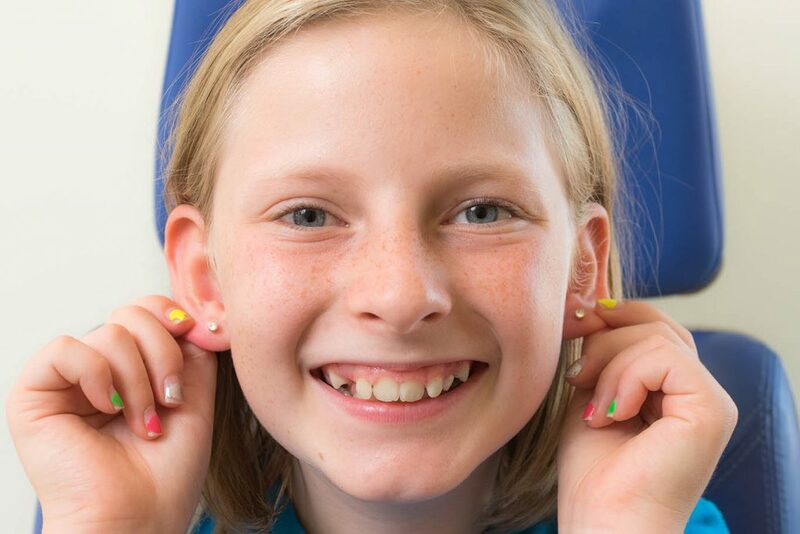 Ear piercing(Ear piercing for children over the age of 6 months using a no touch technique with a sterile disposable cartridge).